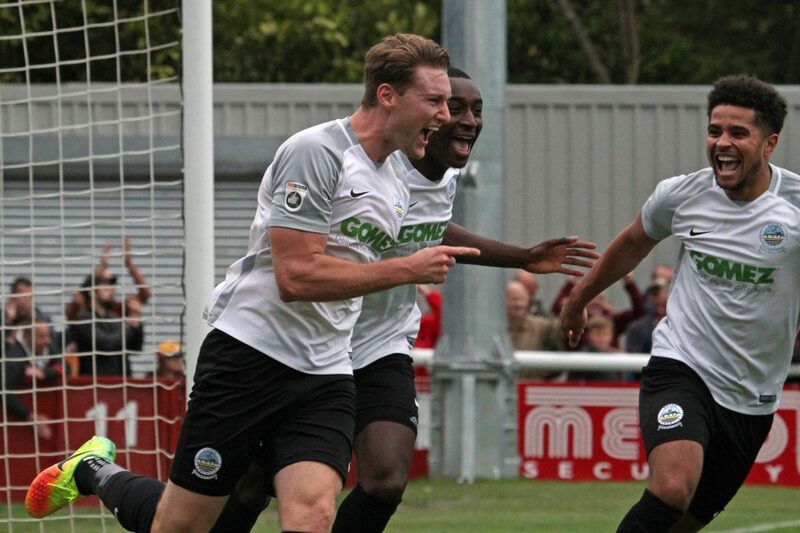 Ryan Bird’s late goal put Dover back onto top spot and sent a bumper Crabble crowd home happy. 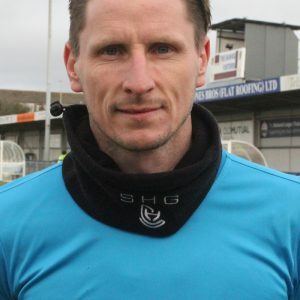 In front of a season high of 2,795, the striker powered home Cambridge loanee Paul Lewis’ cross in the 81st minute to finally break the deadlock. Bird had volleyed high and wide early on and Mitch Brundle was off target with a low drive as the home team took the game to the visitors. Moors’ keeper Nathan Vaugan tipped over Mitch Pinnock’s fierce free-kick after Kadell Daniel had been felled just outside the box. Pinnock then tried his luck with an acrobatic overhead kick that bounced the wrong side of Vaughan’s post. A spectator for much of the half, home goalie Mitch Walker was quick off his line to deny Shepherd Murombedzi from poking the ball underneath his body. The stopper then palmed away the same player’s strike from the edge of the area shortly after Mitch Brundle’s cross-sum-shot eluded both Manny Parry and Daniel at the other end of the pitch. Joe Payne fired wide after the break for the away side and Pinnock’s header had Vaughan scrambling across his goalline to catch the ball. Captain Brundle thought he had given his side the lead following a rampaging run from his own half, but his shot deflected agonisingly wide of the post. But Athletic finally made the breakthrough thanks to Bird and the lead was almost doubled minutes later. Lewis’ scorching drive from Brundle’s lay-off whistled the wrong side of the post leaving the home side to hang on for the remaining few minutes. And Whites were nearly punished in injury time. Firstly Darren Carter curled over a free-kick and goalkeeper Vaughan – up for a Solihull corner, headed over when well placed. But Chris Kinnear’s men held firm until the final whistle to secure all three points. 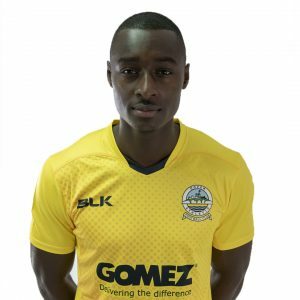 Earlier, Dover’s boss made one change to the side that started at Guiseley last weekend as Lewis replaced Nortei Nortey, who started on the bench. Whites next travel to Sutton United on Tuesday 3rd October. Kick off 7:45pm. Dover:Walker, Gallifuoco, Essam, Parry, Passley, Brundle, Lewis (Fazakerley 84), Ilesanmi, Daniel (Allen 67), Bird, Pinnock (Sho-Silva 73). Subs not used: Nortey, Richards. Solihull: Vaughan, Green, Kettle, Daly, Payne, Murombedzi (McDonald 73), Richards (Campbell 84), Carter, Carline, Brodie, Afolayan (Maye 62). Subs not used: Cullinane-Liburd, Fox.